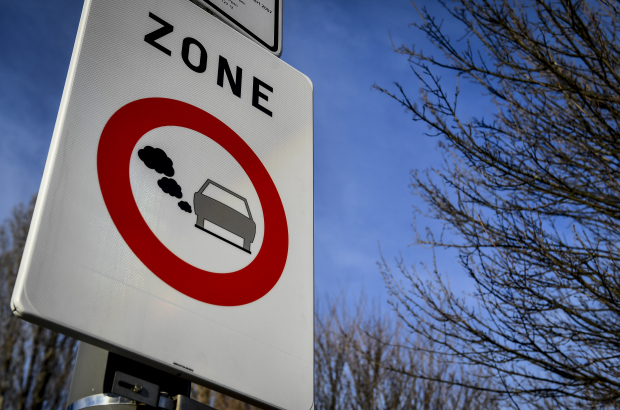 The number of drivers caught using an old polluting car in Brussels fell sharply in October - in the first sign that the region's low emissions zone is being respected. A ban on old diesel vehicles registered before 1997 came into force in January, but last month was the first time that drivers were fined, after a nine-month awareness period. In October, 286,000 vehicles were scanned by number-plate recognition cameras on main roads in Brussels - and only 228 of them, or less than 0.1%, were banned vehicles. About 40% of the vehicles caught flouting the ban were registered to an address within the Brussels region, 20% elsewhere in Belgium and the remaining 40% were foreign vehicles, mostly from Germany, France and the Netherlands. Drivers of diesel vehicles pre-1997 face a €350 fine for using the region's roads. In the early days of the low emissions zone, the cameras were catching 240 banned vehicles per day, rather than per month. About 1,000 old diesel vehicles have been granted an exemption - such as ambulances and police vehicles. Drivers of classic cars have the right to use a banned vehicle for up to eight days a year, on payment of a €35-a-day tax, but only 68 people have applied for this pass. From January 2019, the ban will be extended to Euro 2 diesel vehicles and Euro 1 standard petrol vehicles - although the first fines will not land until April. About 25,000 cars registered in Belgium will be affected by the extended ban, compared with just 3,000 today. The ban will be extended in stages between now and 2025.